Congratulations new MFA graduates Sarah Templin, Gregory Beson, Danielle Connelly, and Wenny Chen for receiving the Runner-up in Core77 Design Awards: Design for Social Impact. Their project, BinBin, proposes a produce system that puts a strong focus on the circular economy. 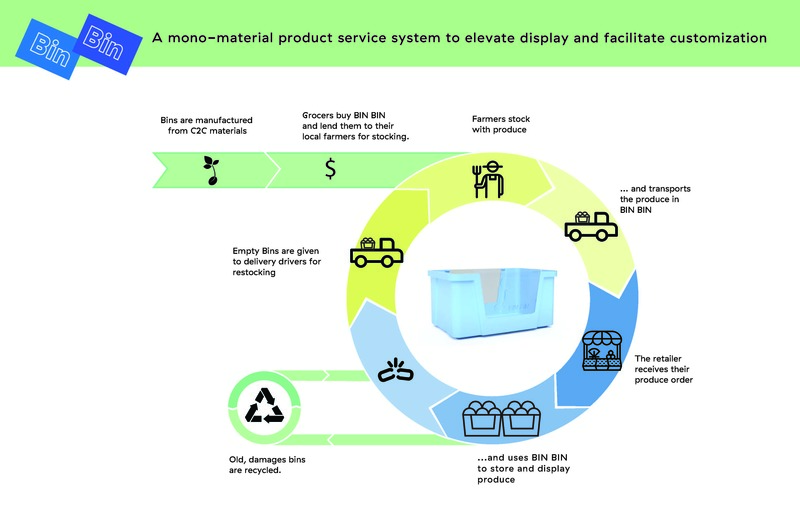 It combines the lightweight convenience of cardboard produce boxes with the durability and utility of plastic bins into a highly flexible plant-based plastic bin. Please visit the honoree page and vote to help them win the Community Choice Prize!! « Street Seats 2017 Received a Core77 Notable Mention!